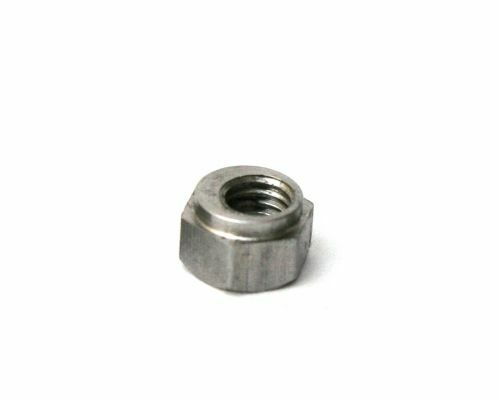 This is an eccentric nut. It serves the same function as an eccentric spacer, but it has M5 threads instead of a clearance hole. It replaces the nut, saving one part. The eccentric nut is used to tension V-wheels against MakerSlide rail. It requires a 7.14mm (9/32”) diameter hole. The eccentric nut is most useful when the V-wheel is mounted directly against the carriage plate, with no spacers. 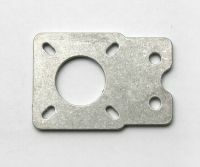 The assembly is more compact than can be achieved with the traditional eccentric spacer.